I am absolutely thrilled to share today's post with all of you! 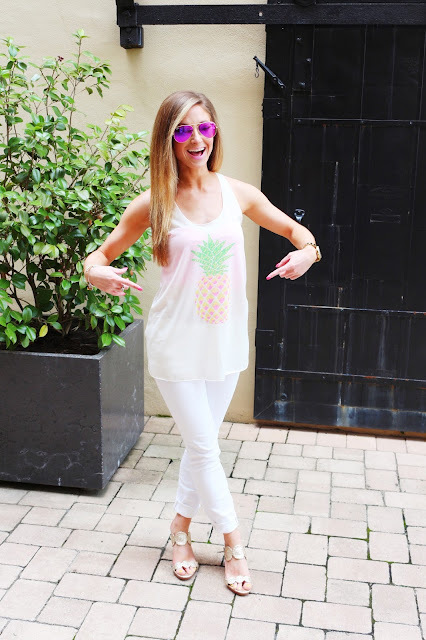 Emerald Lagoon Boutique - a Florida based boutique that offers affordable, chic, colorful pieces - recently sent me this adorable pineapple tank. 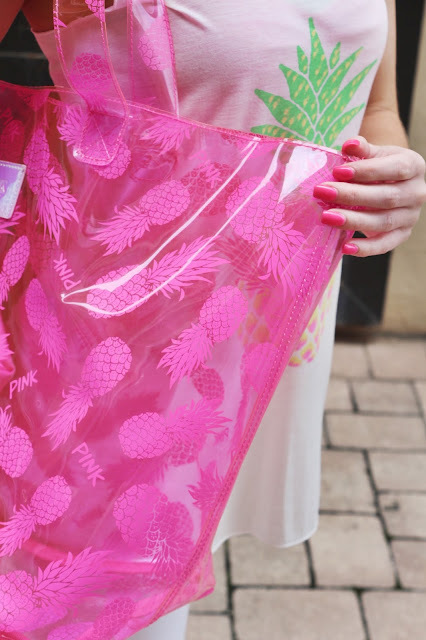 I saw a picture on their Instagram (emeraldlagoonboutique) and instantly knew I needed it in my wardrobe! 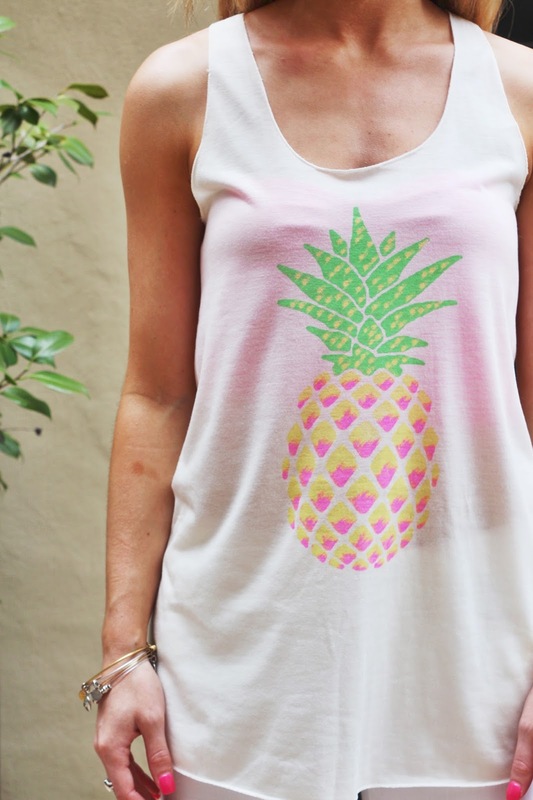 Plus pineapples are all the rage if you haven't noticed...the perfect addition for summer. The tank itself is super soft and really light weight, while still fantastic quality. I don't know about you, but with the 90+ degree temps lately light tanks are just the ticket. I paired mine with a bright pink bandeaux from Victoria's Secret, white skinny jeans from Madewell and my platinum Jack Rogers wedges. If you ask me simple is sometimes better and I wanted the tank to be the star of the show! And of course I had to put on my new Ray Ban Classic Aviators in pink - I seriously cannot get enough! 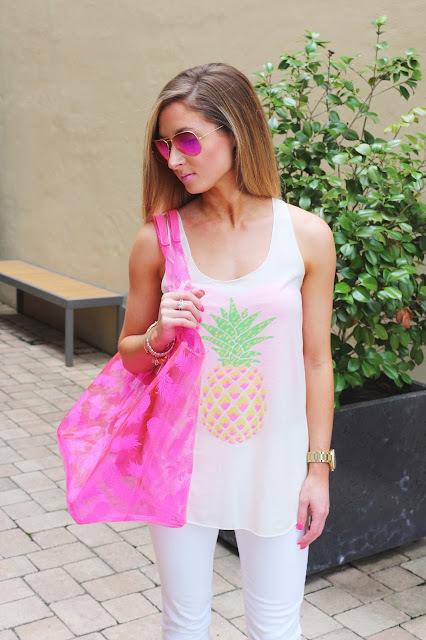 I also added my pineapple beach tote from VS I purchased last year. Super easy to keep clean and absolutely adorable. Make sure to stop by Emerald Lagoon Boutique's Instagram (emeraldlagoonboutique). You can actually shop right from their IG account. All you have to do is comment on a picture "SOLD," your size and your email and they send you an invoice. 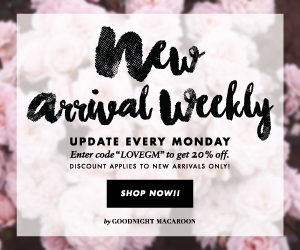 Items then ship out the next morning and shipping is only $2 in the US (that's a steal ladies!). 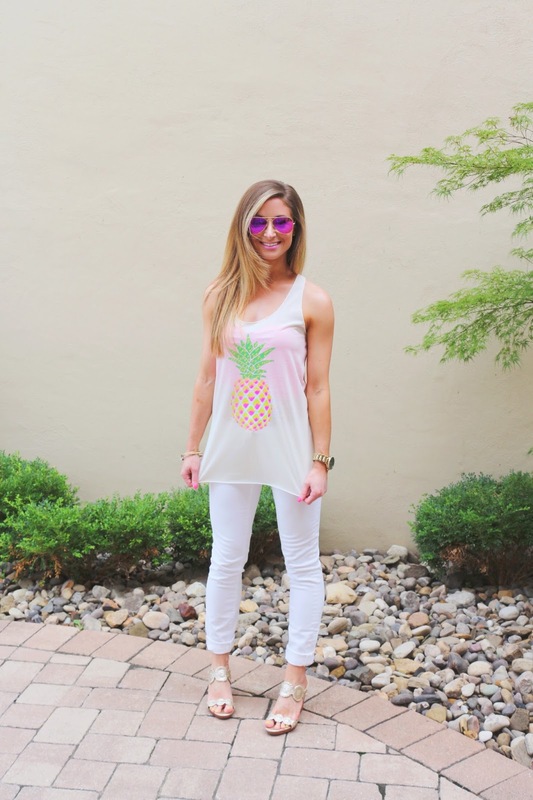 The pineapple tank featured in this post is $17. 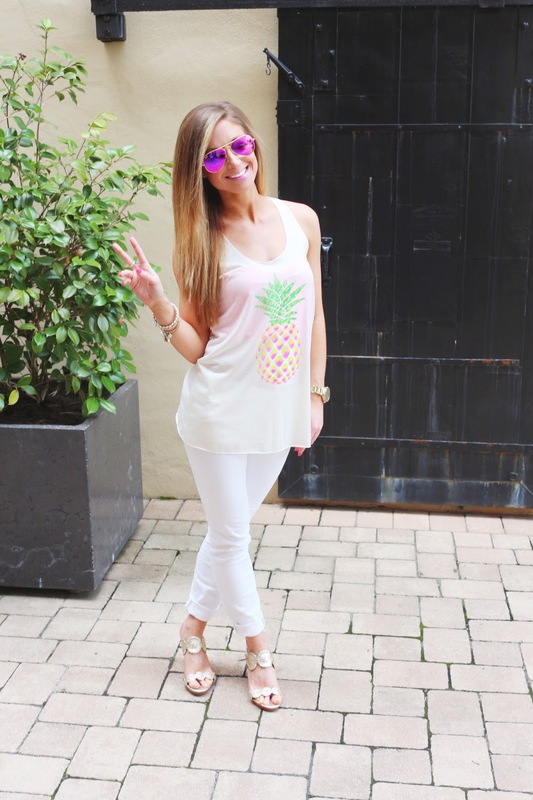 I hope everyone had an amazing weekend filled with fruity drinks, puppy cuddles and lots of sunshine! so cute! 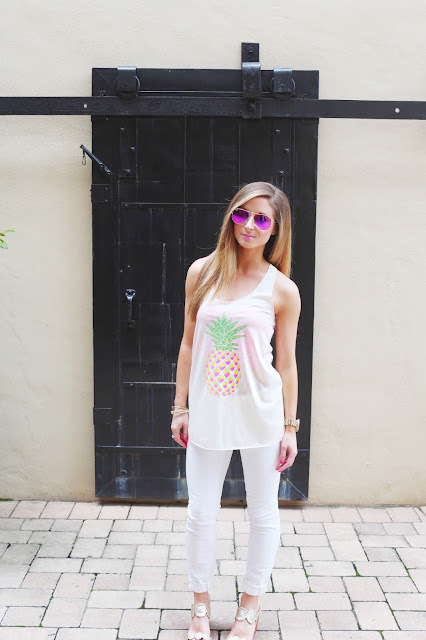 I love anything with pineapples!